Learning Forward Kansas has been recognizing outstanding educators, leaders, schools, and districts who demonstrate leadership and innovation in professional learning for many years. Winners are recognized at the Learning Forward Annual Conference. Previous award winners from the recent past are available here. Currently the awards and criteria are being updated and revised. Applications for the Learning Forward Kansas Professional Learning Awards will be available later this fall. 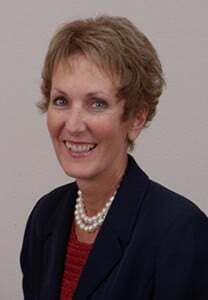 The Learning Forward Kansas Staff Developer of the Year for 2014 is Dr. Kelly Gillespie – executive director of the Southwest Plains Regional Service Center. Dr. Gillespie was nominated by Alan Cunningham, superintendent of Dodge City Public Schools, who indicated that Dr. Gillespie has been responsible for tremendous gains in learning and teaching in Dodge City. Through her role as the Kansas Learning Network Implementation Coach, Dr. Gillespie was tasked with helping to turn around a school identified as one the state’s lowest performing. For two years, Dr. Gillespie has worked with teachers and staff, helping to train them in high-yield strategies identified by Robert Marzano as among the most effective for impacting student learning. Utilizing walkthrough data that she helped to develop, regular teacher use of explicit checks for understanding has grown from 33% to 84%, and instructor use of content and language objectives has grown from 31% to 80%. Additionally, second grade reading data shows a 13% growth on on-grade-level reading in just one year.